It’s more than just the high water levels that have had the Bow River buzzing where it flows through Calgary. It's more than just the high water levels that have had the Bow River buzzing where it flows through Calgary. Swarms of insects continue to hatch along the banks, attracting birds that feed on them, says Calgary Homestretch naturalist Brian Keating. "There's been an emergence of adult stoneflies, with breeding swarms," he told host Doug Dirks. "The other night … when the sun was low, it back-lit these breeding swarms and it looked like cottonwood fluff." ​​​The swarms present "a huge protein opportunity" for all different kinds of birds, added Keating. "I've got a robin nest in my backyard and the adults are feeding non-stop stoneflies to the babies. I've got a flicker nest in my backyard and the adult flickers are bringing stoneflies to their young. I've seen flycatchers and waxwings and king birds and even ducklings and goslings feeding on them along the river." 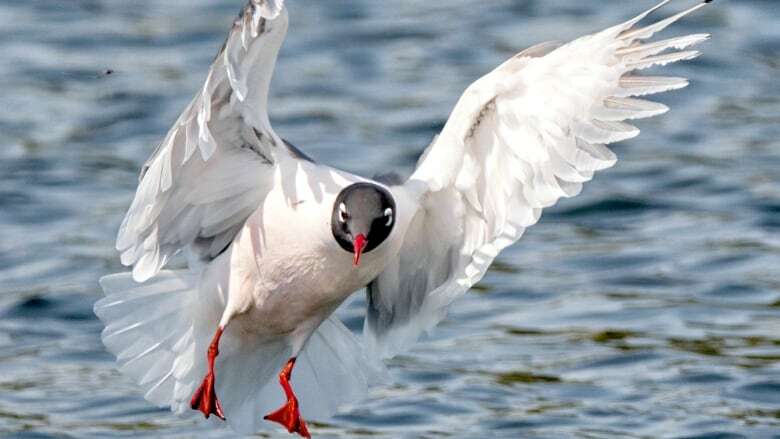 They're also attracting large numbers of Franklin's gulls — named after Arctic explorer John Franklin — which are also known in Alberta as the prairie dove. "They're a very sleek and very handsome, black-headed gull," he said. "They're stunningly beautiful." And the gulls are also great fliers, able to outmanoeuvre the small insects. "This gull is exceptional," said Keating. "And now, after the emergence of the stoneflies, it's giving us some tremendous visual opportunities on the river. [The gulls] are a thing of beauty to watch." Stoneflies may look tasty to a bird, but they freak out most people, said Keating. "It's kind of a scary-looking insect," he said. "It's got a big, long abdomen that is thick, and it's a fairly slow flier, and a clumsy flier, so it often lands on you, which freaks some people out, or it lands in your meal while you're sitting outside." 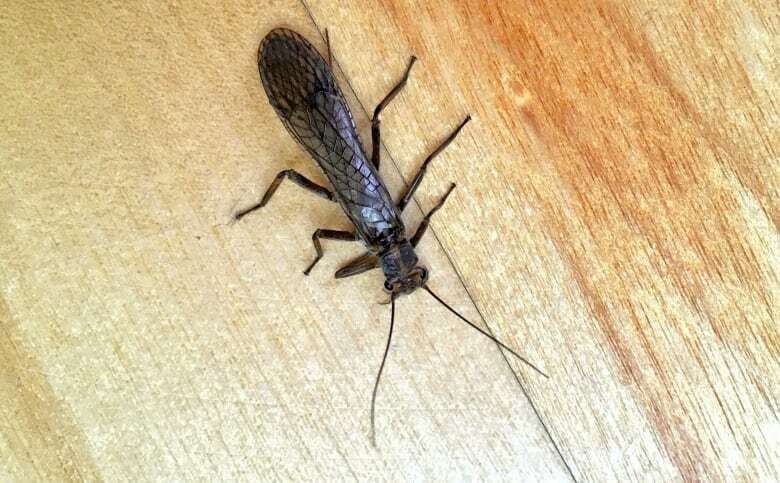 Alberta has nearly half of the 250 species of stoneflies found in Canada. "Stoneflies need fast, cold, clean, unpolluted, flowing, high-oxygenated water to survive," he said. "And that's why the Bow happens to be perfect for it." The bugs feed on submerged leaves and algae, then adults will lay up to 1,000 eggs at a time to continue the lifecycle. With files from the Calgary Homestretch.